Seville’s best mediterranean restaurant of 2018. 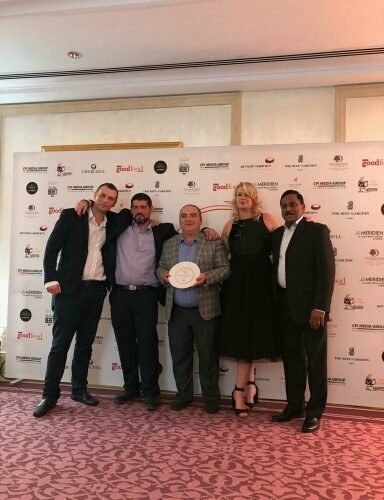 The Spanish restaurant has been awarded on the BBC Good Food Middle East Awards. The ceremony took place last November 27th on the Ritz Carlton JBR. In these awards, voted for by consumers, readers get to vote for their favourite restaurants, dishes and chefs. These are the only awards in the region offering recognition solely based on customers’ stamp of approval across different categories. Seville’s is a vibrant Spanish restaurant and bar with tapas, great al-fresco dining, and an abundant selection of regional specialty dishes created by Spanish chef Mariano Andres.